EPA closes a plant “in a community that has historically been disproportionately impacted by environmental contamination,” failing to mention that the community has also been disproportionately impacted by 32.1% unemployment. The EPA recently shut down a Geneva Energy plant in Ford Heights, Illinois. It was too dirty. 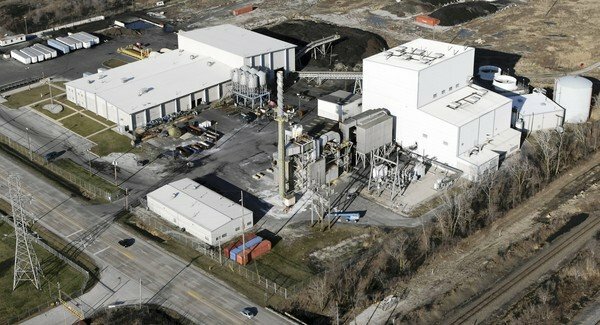 The U.S. Environmental Protection Agency has reached agreement with Geneva Energy, LLC on the terms of a consent decree to resolve allegations that the company violated the Clean Air Act at a tire-burning electric generating plant in Ford Heights, Illinois. Geneva has agreed to close the facility, which operated intermittently from 2006 until the fall of 2011. A federal lawsuit was filed at the same time as the settlement and alleges violations included in an August 2010 EPA Notice and Finding of Violation issued to the facility. The NOV/FOV alleged violations of the facility’s construction permit, including monitoring and reporting requirements and emission limits established for carbon monoxide, nitrogen oxide, sulfur dioxide, ammonia, particulate matter, and opacity. “This settlement will eliminate the source of almost 200 tons of air pollutants each year, in a community that has historically been disproportionately impacted by environmental contamination,” said EPA Regional Administrator Susan Hedman. Ford Heights also suffers from 32.1% unemployment.